Angela found this guy on our porch, by the back door. Possibly waiting to to come in? 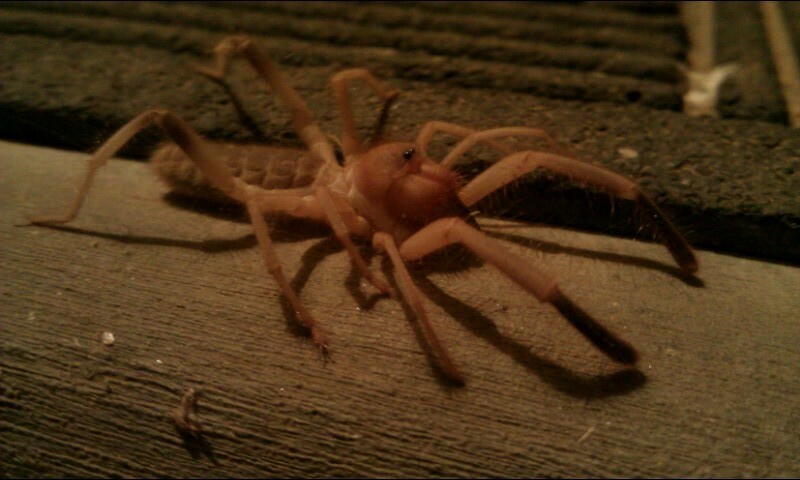 A bit larger than her thumb, he’s about 1.5 inches long and quite fierce looking, but harmless to people — mostly. If I remember right, they dont really have pincers and their mouths are too small to break your skin. This guy is pretty good sized, but not the largest we’ve seen. 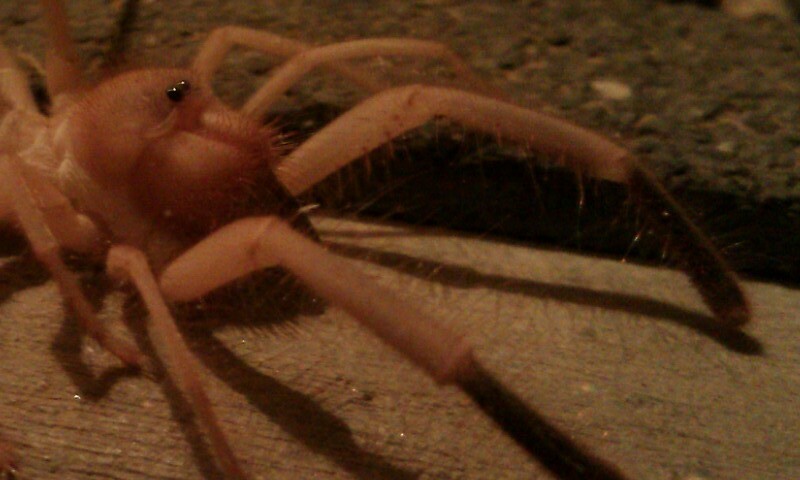 When we moved in nearly a decade ago, there were two that were about the size of my open hand — one on the front porch, and one on the back. We haven’t seen them since then, just some little dime-sized ones every once in a while. If you ever come across one of these, be kind to them. 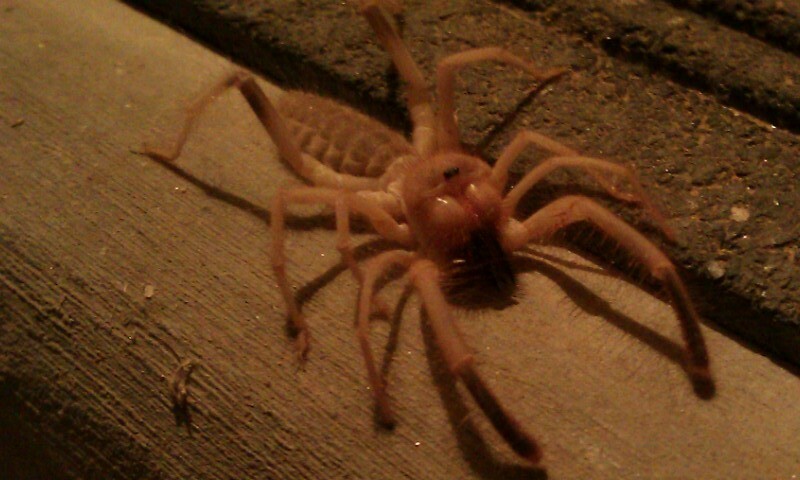 Its my understanding that they hunt scorpions in addition to other bugs. Anything that eats scorpions is a friend of mine.